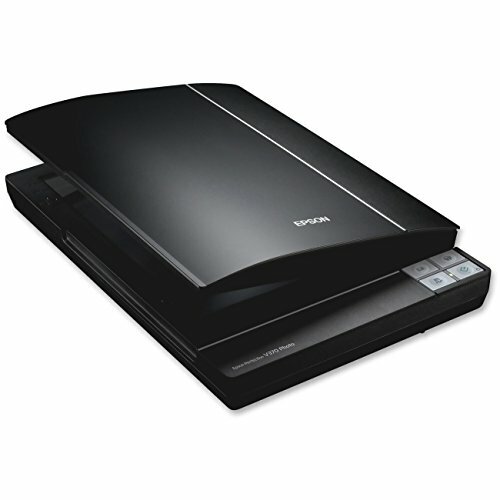 Scan photos, film, oversized originals, plus scan-to-cloud you get it all with the Epson Perfection V370 Photo. This powerful performer makes it simple to archive photos and documents or create enlargements with the built-in transparency unit and 4800 x 9600 dpi optical resolution. The Epson Perfection V370 Photo makes it easy to scan directly to cloud services like Google Docs, MS SharePoint, Evernote, and more1 with Document Capture Software. It also offers one-touch buttons for scan-to-email and copy. Plus use photo restoration to bring those faded family photos back to life. You can even scan oversized artwork or photo album pages with ArcSoft Scan-n-Stitch Deluxe software. Featuring Epson exclusive ReadyScan Technology for fast scans and no warmup time, you will be scanning in no time.